Watch this short video for a better description of Toxic Stress. Learning to deal with stress is an important component to dealing with everyday life. I am going to be discussing a few things that could be done in the U.S to help alleviate Toxic Stress in our Nation. Please watch this video to get a better understanding as to the matter at hand. “Please if you have any care for the future of our children, healthcare or community, watch this video and hear what the Federal, Scientific & Pediatric Level Communities have to say on the issue of the effects Toxic Stress has on our Children. This video discusses Toxic Stress, that we as adults and as a Nation inflict upon our Children that leads to such issues as sickness and imprisonment later in life. We as a collective whole, have to do a better job at maintaining a higher quality of standards Nationwide when it comes to our children’s health & education. Through maintaining higher standards we can dramatically decrease poverty, sickness, disease, antisocial behaviors and incarcerations here in the United States. These are immediate changes that need to take place in our country & communities, if we desire any Hope for our Future generations. This video was captured in 2010, what has our country done in the past 5 years to pave the way for the positive changes in our system this podcast discussed? But most Importantly what are you currently doing in regards to lowering Toxic Stress in your immediate environment?” (Free Spirit and Mind, 2105). How would I sell these changes to the public you ask? I am already selling these changes on Facebook, I posted the above words with the video, “The Toxic Stress of Early Childhood Adversity: Rethinking Health and Education Policy” on my business news feed. Why did I do this? To get awareness out as to the severity of toxic stress on our Nation, especially when it comes to our children and youth. I did so to engage the minds of everyday people out there, to get the typical mother, father, friend and teacher alike to start contemplating such issues. In addition to the Facebook post I made, I think seminars, classes and talks about toxic stress need to be raised on a constant basis. I think the people need to evaluate and consider how stress in our immediate environment negatively affects our families, children, homes, community and Nation. I would like such questions to be openly spoken about; what are local and state agencies doing to counter the effects of toxic stress in our youth. I for one engage in natural activities like hikes, plant walks and drum circles with my son as a way to lower stress for my child and as a way to lighten his heart to the way our society has hardened over the years. I think it would be beneficial if the media continued to bring up these issues on a regular basis. The main issue I see with ideas like the video presents, is that once spoken of or discussed, the idea gets lost or forgotten about after a time and less effort is made to see the changes through. Keeping such issues at hand and open to discussion publicly on a regular basis can help raise awareness which can motivate change. When it comes to considering policy changes in regards to toxic stress when and how it can affect different cultures, I would include discussing the impacts of income, poverty, proper education in the health care and school system and how medical care is being given to these communities. One of the main issues would be to address the educational level. 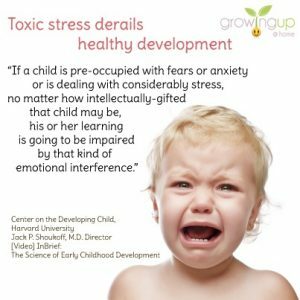 How are children and parents receiving education about the effects of toxic stress? How we as a Nation, make sure that all cultures in our country are receiving the funds that will provide for this education? In the video, it touched on how studies reported that illegal immigrants actually have less stress in the family unit thann our recognized residents, at least until the parents are deported or removed from the child’s care. This is important as illegal immigrants is made of hundreds of different cultural communities here in the United States. It would be crucial to making National changes that include such communities. Do more around home visits for vulnerable families & how this can help parenting. 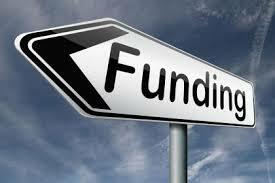 I believe this would require more state and federal support, both on a participation and financial level. This could reinforce the seriousness of the cause and allow parents and communities to understand how desperately desired this movement is on a political and community level. Broadening & growing our network of Pediatric & mental health programs to lessen toxic stress and as a medium to bring awareness to the parents or caregivers of our youth. Keeping this issue open and ongoing is the only way I see this policy being successfully followed through with. Screening more of the vulnerable kids at an earlier age. I see this one being crucial for minorities, domestic violence, illegal immigrants and adoption cases. Making sure that no child is left out regardless of their culture, financial needs or social status. What can we do to reduce Toxic Stress? In order to lesson Toxic Stress on a National or even community level will not be an easy endeavor. There are many roadblocks that we will surely face that could be detrimental to the cause. Planning out and preparing for such roadblocks could be a way to safeguard the changes that are to be made. Toxic stress is a here and now problem we face on a day to day basis. These problems are the problems that should be dealt with in the now, they should not be swept under the rug or discussed at a later date. These are the problems that are killing our Nation’s children, not space exploration or discovering life on other planets. We should be looking to sustainable solutions that can heal our immediate problems here and now. Here are a few of the roadblocks that could be a potential threat to eradicating toxic stress from our communities. Currently there are not too many resources that are openly provided to parents in regards to toxic stress. By connecting parents to the proper resources can bring attention and awareness to the severity toxic stress has on our children’s and community future. Through educational seminars open to the public, free of cost could also be a network to introduce the idea of toxic stress. I would not be surprised if many people out there did not know the meaning of toxic stress. Where will the money come from? As brought up in the video, we have found the funds that pay for space exploration and researching life on other planets so how is it that we are not able to find the funds to heal our immediate issues that are causing so many problems throughout our Nation. If our mission of bridging internal medicine and pediatrics together is to safeguard the future actions of children, which can prevent further disease and incarceration, I do not see the government being willing to participate, for fear of losing financial liquidations this country depends on from our sick and imprisoned population. In my opinion in order to find the funds, at least on a political level, we would need the government to be willing to do what is right for the people and their Nation. If this is not able to take place, which I do not see happening any time soon, then the funds will have to come from private sources, non-profit businesses or the rich who have an abundance of wealth and are willing to fund such a cause. Illegal immigrants. Illegal immigrants make up an ever increasing number of our population. How can we help pave the way for all our Nations people when we have so many immigrants that are unaccounted for? This is another roadblock that we face as a whole without being able to account for these statistics, we are unable to make the proper changes that include all communities. But there is no hope for these immigrants to come forward and claim their ground, as they fear the reprisal of being deported. A solution that would have to be discussed would be to grant sovereignty or legal status to immigrants with the condition that they participate in mandatory programs that will educate families on toxic stress. But then the question would be, would our government and nations peoples be willing to implement such a change? 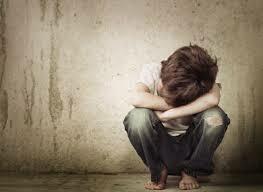 What about removing toxic stress from children who have parents that are unwilling to make positive changes for them. What motivational factors can be implemented in schools and pediatric offices that could entice unwilling parents to do what is right for their children? I see a major issue may be that these type of parents have fear of revealing some sort of domestic violence issue in their home. Maybe these parents are too self absorbed, lazy or were brought up by parents who lacked their own care. Then the issue would be to make sure the resources are openly provided to the families and the children alike. Possibly offering more big brother or big sister programs that would provide mentors or peer support to such children that do not have the parental support needed to remove toxic stress from their lives. After all if we are able to help one life, then we are doing our part. Toxic stress is an everyday problem that we face in our homes, communities and Nation. It is our responsibility as individuals to bridge the divide and to bring awareness of such issues that keep our society in despair. If changes are to be made on a bigger level we will need the support of highly placed individuals both as a voice, spokesman and financially. We will need to awareness of the negative consequences of toxic stress brought to the attention of every home, of every individual and of every institution. If we can find the means of restoration to our communities then we ensure an abundance of peace, love and support throughout our Nation. After all if we are to look towards a better and brighter future for our people, we must look to our children so they may provide the way for our next generations. Free Spirit and Mind. (2015). In Facebook [business page]. Retrieved December, 17th 2015, from https://www.facebook.com/freespiritandmind/. This entry was posted in Free Spirit and Mind and tagged a toll on our nation, children, children as the future, eliminating stress, future generations, national issues, national problems, the real problem, toxic stress. Bookmark the permalink.